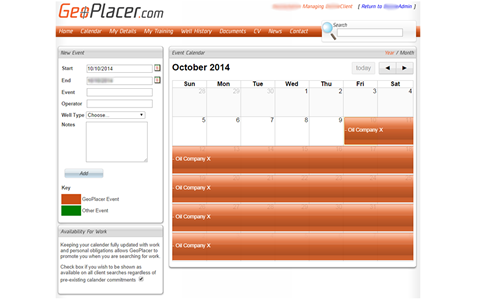 After registration, you will have access to the GeoPlacer Client Portal. This allows you to post geological job vacancies and perform comprehensive searches to find competence approved field and operations geologists. The system is designed to ensure that candidates are found who fit your exact specifications. 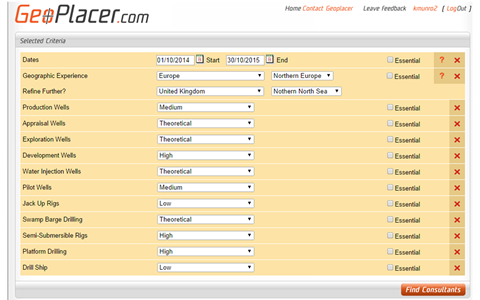 All geologists on our database have been individually competency checked to ensure they are of the highest quality. 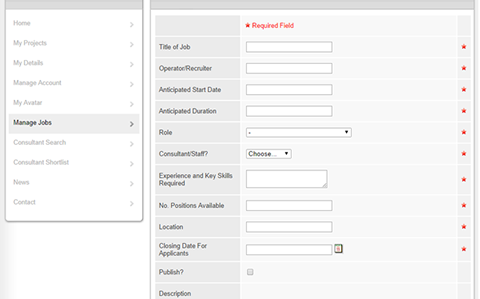 You can post jobs directly, allowing registered geologists to view your posting. The GeoPlacer team will also promote these through email, by telephone contact and via social media. After registration, you can search our database using skills, competences and experiences which are specific to the project you are planning. A comprehensive work history is built up by all registered geologists, and all are personally competency checked, meaning you can be sure you will find the experience your project requires. This includes all relevant training candidates have undertaken. 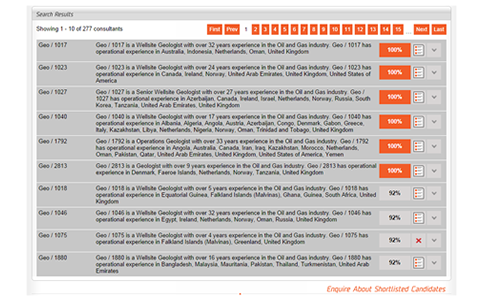 GeoPlacer has a history of placing geologists with oil and gas companies worldwide. All of our approved geologists list the areas in which they have worked, and can be located through our search using geographical specifications. Geologists are encouraged to complete their upcoming projects calendar, making it easy to view when contractors will be available to work with you. In minutes you can establish a list of competence approved and referenced checked individuals who can undertake the project you are planning, and enquire into their availability. All candidates returned in the results are scored (based upon your specific search criteria) to give you a percentage match. GeoPlacer.com provides a secure and innovative method of sourcing and performing competency evaluated searches for geological consultants and contractors. Our unique system allows you to specify the skills and experiences essential to your upcoming projects. Based on your specifications, our purpose built algorithms will ensure that the most suitable candidates are identified. 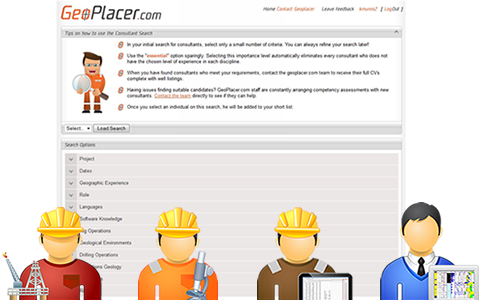 GeoPlacer.com provides an innovative platform for geologists to find consulting, contracting and permanent vacancies. 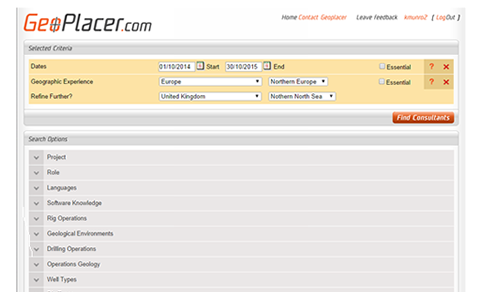 In addition to advertising your skills and experiences to operators globally, the GeoPlacer website allows you to plan and organise your working life, wherever you are.